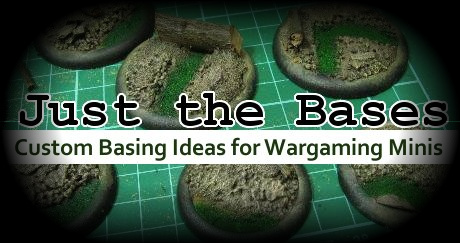 A very important thing when customizing the bases is to close any slots (especially on 30mm and 40mm bases from Privateer Press and similar). All those open slots mean that a lot of glue will get all over your hands/desk/everything else. Once that is taken care of, It was time to add some ballast to the bases. I am definitely going to give this a go for some basing...maybe my Nualla who is still in her blister. Thanks for the detailed explanation!